Machine washable Wensleydale white. 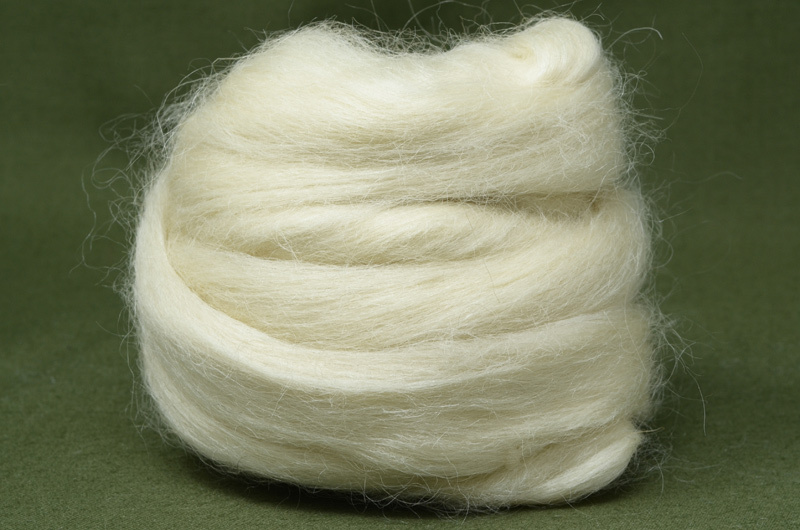 This is a great wool for dyeing as the superwash treatment prevents any felting. Makes a good sock yarn as it wears well. It has a long staple length and the combed tops retain a slight crimp. Micron 32-35.